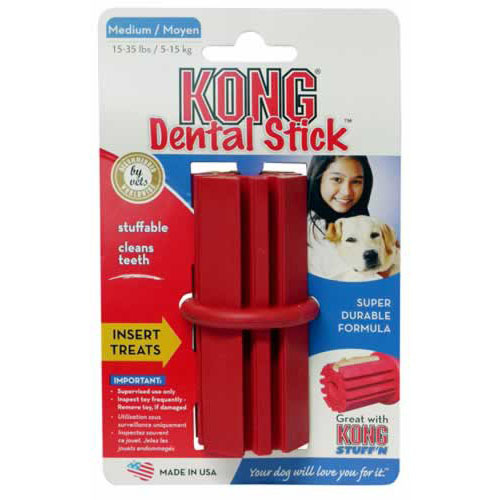 The Medium KONG Dental Stick is designed to help remove plaque and food debris from a dog's mouth as he chews on it. Specially designed grooves close over teeth and gently clean and condition both teeth and gums, even those at the back of the mouth. Flavoured toothpaste or Coachies Training Treats can be applied between the ridges to provide an extra incentive for good oral hygiene during play.